Josh Simpson (far left), ATD SVP Proprietary Brands; Guideo Bertoli, Gary Voss, Guido Bertoli III of Big Discount Tire Pros; Bob Bittner, Tire Pros VP Franchise Development. 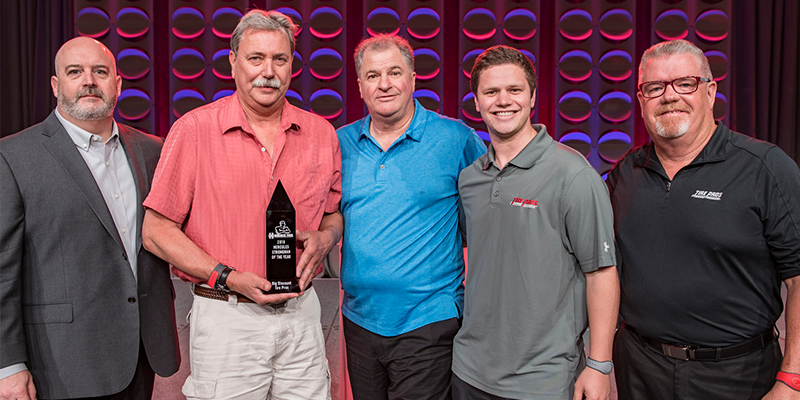 Tire Pros, a subsidiary brand of American Tire Distributors (ATD), shared with its dealers a strategic plan to support its nationwide network of franchisees and position the brand to thrive in the evolving tire industry. Franchise owners joined Tire Pros and ATD leadership at Tire Pros’ annual 2019 National Business Conference in Orlando, Florida, to review new initiatives designed to increase store traffic, improve the efficiency of their operations and maximize business profitability. 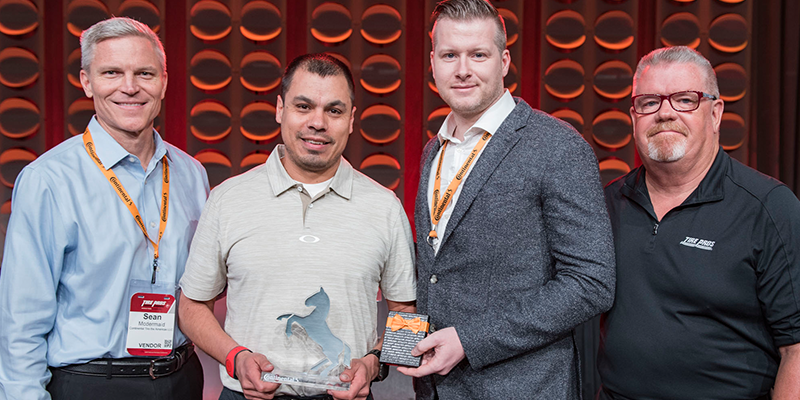 Throughout the conference, presenters reinforced to Tire Pros dealers how leveraging new tools and technologies will enable them to “Choose to Win” in the rapidly changing marketplace. Stuart Schuette, ATD’s president and CEO, provided all franchisees an overview of a number of initiatives the distributor will launch in 2019 to leverage technology and data in order to support its customers, especially its Tire Pros franchisees. Driving traffic nationally and locally: Tire Pros will continue its “Hassle-Free. Guaranteed” national advertising program that is supported entirely by digital and online paid media. The campaign delivered over 50 million targeted impressions, TirePros.com visits were up over 6 times year over year and “Find a Dealer” page views were up over 7 times year over year. In 2019, the campaign will continue to be an important part of the national and local marketing strategy with an emphasis on targeted, paid media strategies designed to surpass last year’s results and drive more traffic to its franchisees. Integrated consumer tools: Tire Pros is making it easier for franchisees to connect with their consumers. The Tire Pros marketing team and Mission-Based Council described a platform that will allow franchisees to easily manage and engage with online reviews, communicate with consumers through text messages and get valuable insights about their consumers’ experiences through an integrated NPS module. Relaunch TirePros.com with full e-commerce capabilities: Tire Pros also announced a new TirePros.com website with full e-commerce capabilities that will be launching in Q3. The new dealer pages will be enhanced with each location having the ability to personalize their location’s site to be authentic to their community and region. The Tire Pros team also announced plans to enable appointment-setting functionality for consumers who purchase on the site, in order to create a hassle-free buying experience. 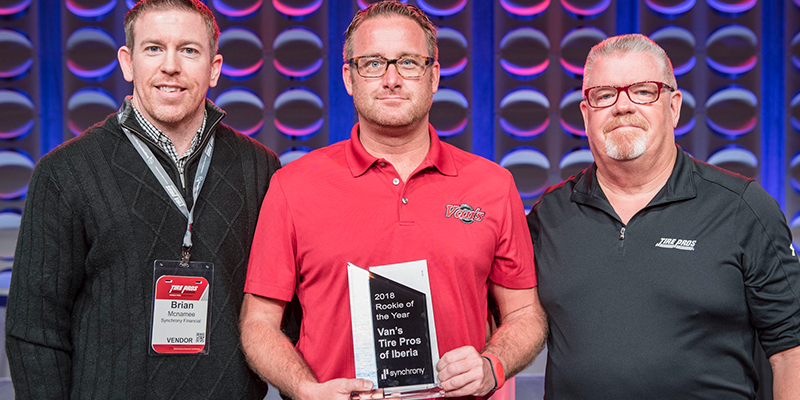 Enhancing franchisee operations: Tire Pros University will be revamped in 2019 to help franchisees grow their employees’ knowledge. A new learning and development tool, developed and delivered in partnership with the Training Mission-Based Council, will be available to all franchisees at no cost, making it easier for them to onboard new employees and retain quality employees. Maximizing franchisee profitability: During 2019, Tire Pros Retail Account Managers will continue to collaborate with franchisees to analyze the key metrics in their business and identify areas of focus to enhance profitability. Branded as the Pros Partnership Analysis, each participating franchisee receives these valuable business metrics multiple times per year. Strengthened vendor partnerships: Tire Pros leadership announced a number of new products and an exclusive promotion plan from long-time partner Continental Tire. In addition, Tire Pros announced a new program for all franchisees, the Tire Pros Edge Program driven by Cooper Tires. Franchisees will have the opportunity to earn multiple program and promotional benefits on their Cooper brand and select Hercules brand purchases with this new program. Another highlight of the conference was the vendor fair with more than 50 vendors representing marketing, auto parts, technology, tire manufacturers, tools and supply products provide additional opportunities for franchisees to find the tools they need to run their businesses even more efficiently. 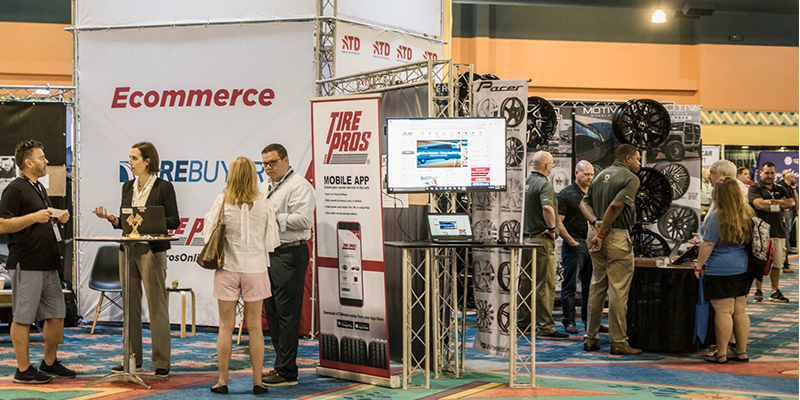 The Tire Pros convention floor played host to more than 50 vendors representing marketing, auto parts, technology, tire manufacturers, tools and supply products.